My Father’s World is dedicated to inspiring academic excellence in an easy and life transforming way. Our goal is to raise up a generation of families who see the world through God’s eyes and live accordingly to that knowledge. Our comprehensive Christian Homeschool Curriculum Packages range from Preschool through High School and provide easy-to-teach daily lessons and a biblical focus. 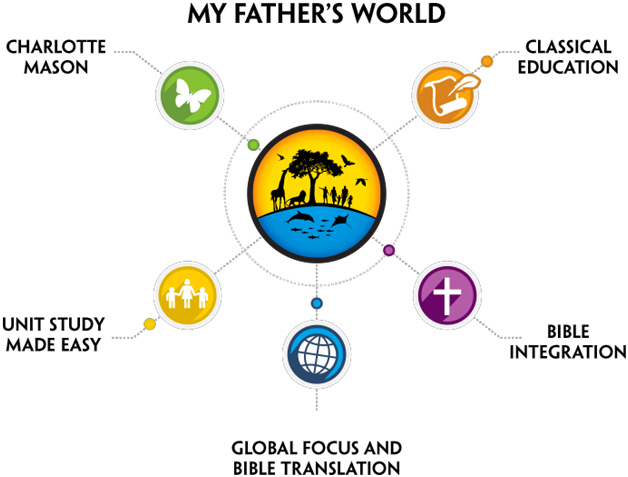 My Father’s World Christian homeschool curriculum combines the best of Charlotte Mason’s ideas,classical education, and unit studies with a biblical worldview and global focus. Celebrate the world through God’s eyes. Our comprehensive Bible based homeschool curriculum is not a single subject; instead, you will find our Bible curriculum thoroughly integrated with the study of history, geography, science, literature, art, and music in each year of our program, helping children learn a biblical worldview from kindergarten all the way through high school. From Genesis to Revelation, the Bible is studied in all three learning stages – DISCOVER, INVESTIGATE, DECLARE – each at a more detailed level. Daily pre-planned lessons remove the guesswork and planning so you can spend more time making memories with your children. Some curriculum providers require parents to use as many as 8 different teacher’s manuals per student or “be a teacher” to understand them. 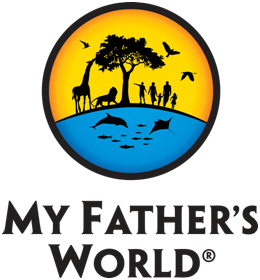 My Father’s World combines its guidance into one streamlined guide that is easy-to-teach, enjoyable, academically strong, and focused on character development. Both new homeschoolers and veterans appreciate the ease of teaching.